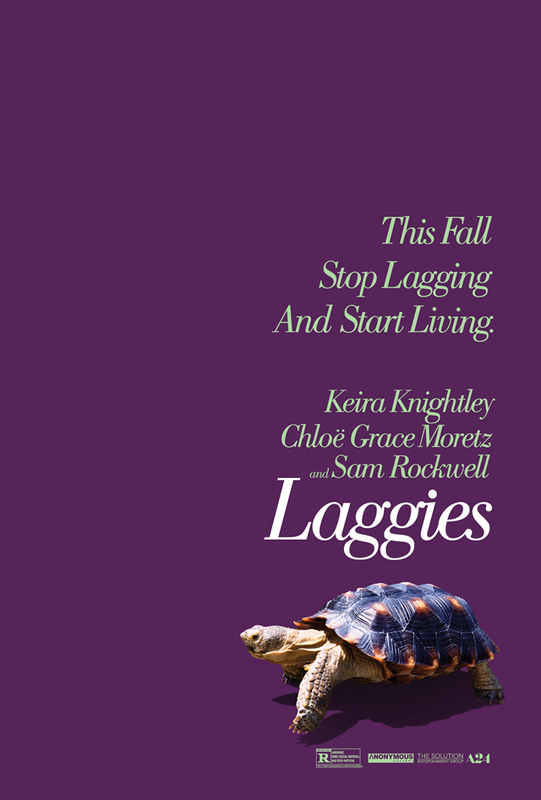 A24 has released the first official domestic trailer and poster for Lynn Shelton‘s Laggies, a new coming-of-age dramedy starring Keira Knightley, ChloÃ« Grace Moretz and Sam Rockwell. Set for a limited October 24 release, the film features 28-year-old Megan (Knightley) as she reaches a crisis when she finds herself squarely in adulthood with no career prospects, no particular motivation to pursue any and no one to relate to, including her high school boyfriend (Mark Webber). When he proposes, Megan panics and given an opportunity to escape – at least temporarily – she hides out in the home of her new friend, 16-year-old Annika (Moretz) and Annika’s world-weary single dad (Rockwell). Ellie Kemper, Jeff Garlin, Gretchen Mol and Kaitlyn Dever co-star. The film premiered at Sundance earlier this year where it was acquired by A24 for release in October and A24 has been on something of a roll this year with the likes of Locke and The Rover, let’s see if they can keep things rolling with something that appears to be a little more traditional. Check out the trailer and poster below.